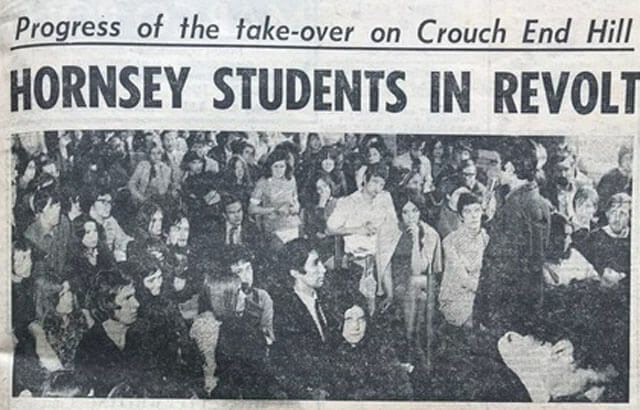 “Peace” at Wood Green was celebrated with a good deal of noise and jollity. Commerce-road had its flags out very early, for whispers of the Sign-up had gone round about breakfast time, and they were only waiting for the official confirmation. 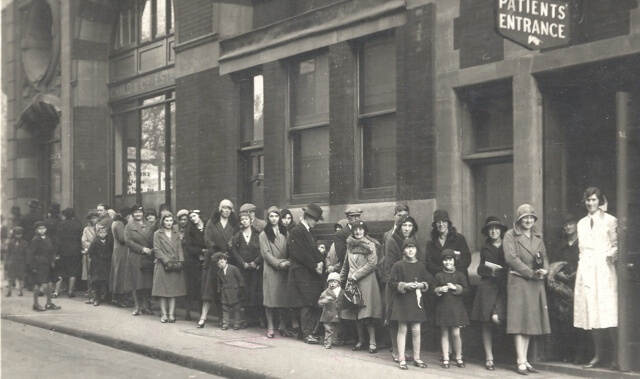 Queuing at a dental hospital prior to the start of the NHS.